Orders are processed each business morning. 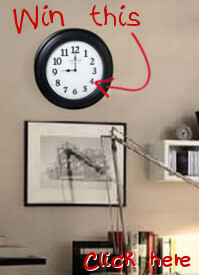 If we own it, your new clock will ship the same day. Please allow 1-2 days for your order to be updated with tracking info. Once tracking info is available, you will receive an email directing you to this info. Check your order status anytime below. If you have other questions or problems, please email sales@clocks247.com and we'll help.